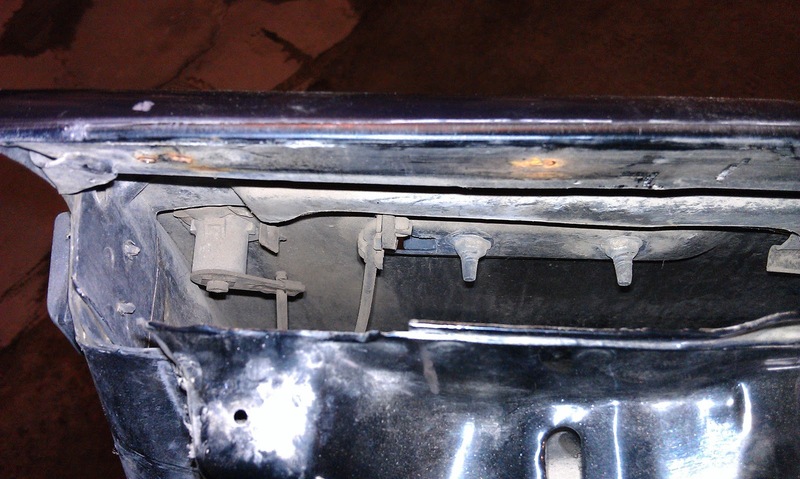 I only worked on the car for about an hour today, but I did manage to get a few more things off the driver side door. 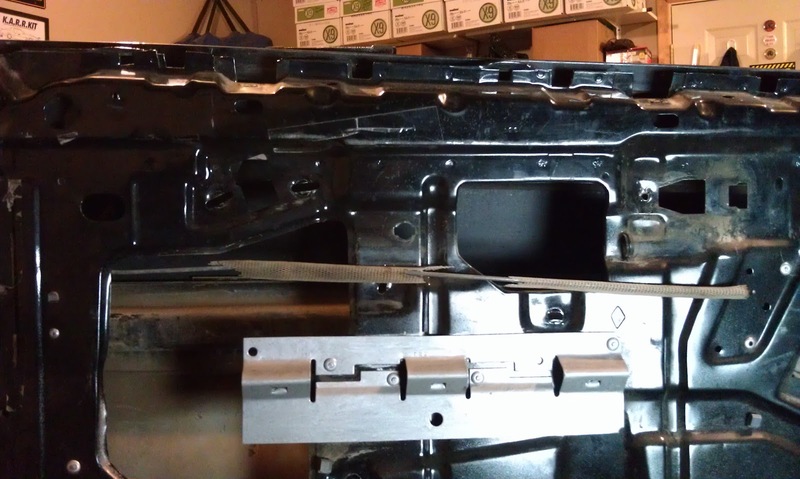 I started with the exterior handle and lock cylinder. I will be replacing both of these with new ones. Here is the view from inside the door. The handle is secured inside the door with two speed nuts. 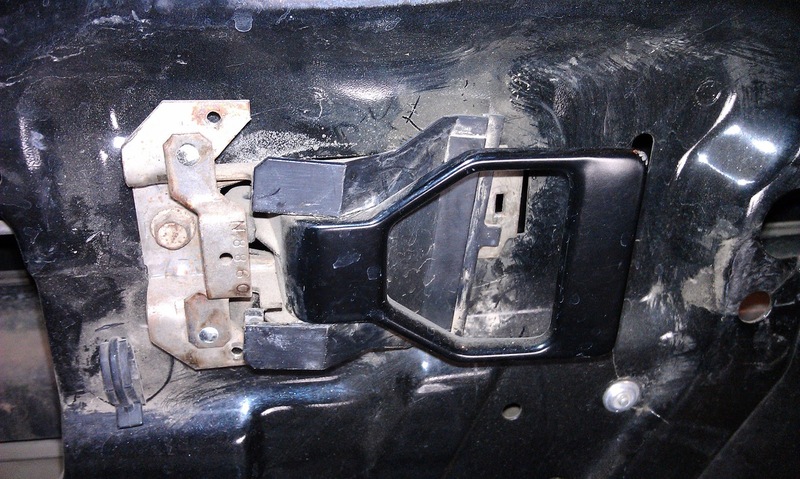 The lock cylinder is held in place by a retainer clip. This is a reference picture of the lock rods and how they are attached to the handle and lock cylinder. These were the first thing I had to remove. They are secured by spring clips which have to be disengaged. 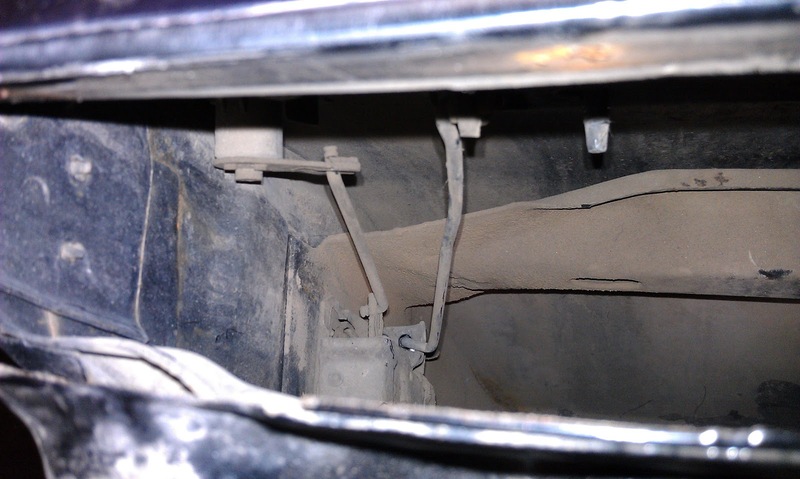 Here is the interior of the door with the handle and lock cylinder removed. Exterior of the door with the handle and lock cylinder removed. I decided to remove the interior handle next. Up to this point I had not noticed the plastic insert that sits behind the handle. This is not a piece I have seen for purchase before, so unless it comes with the new handles I will be installing I will have to clean and paint these. This handle had been replaced or at least removed before because it was no longer riveted and was held on with a large sheet metal screw. 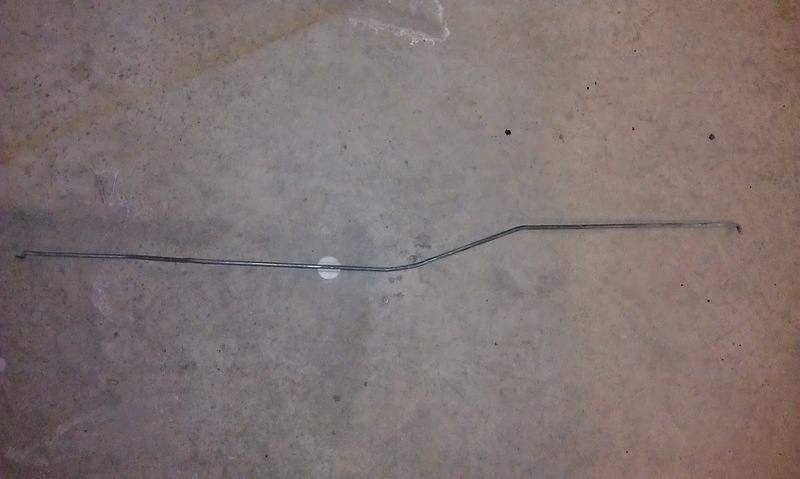 I would like to mention this handle was loose when I got the car, so a sheet metal screw is not adequate to secure these. 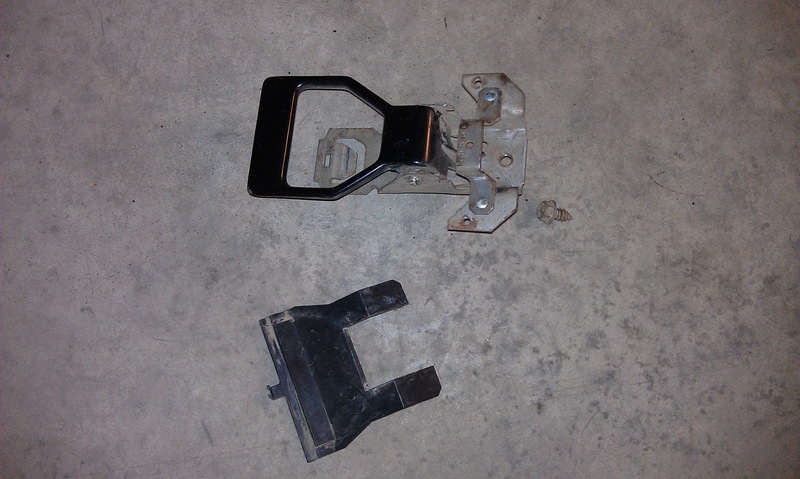 Here is the the handle and plastic insert. 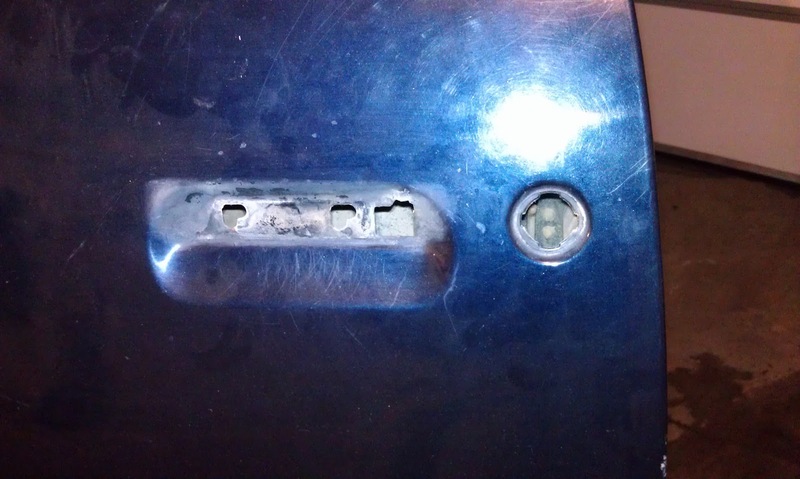 Here is what the door looks like with the interior handle removed. 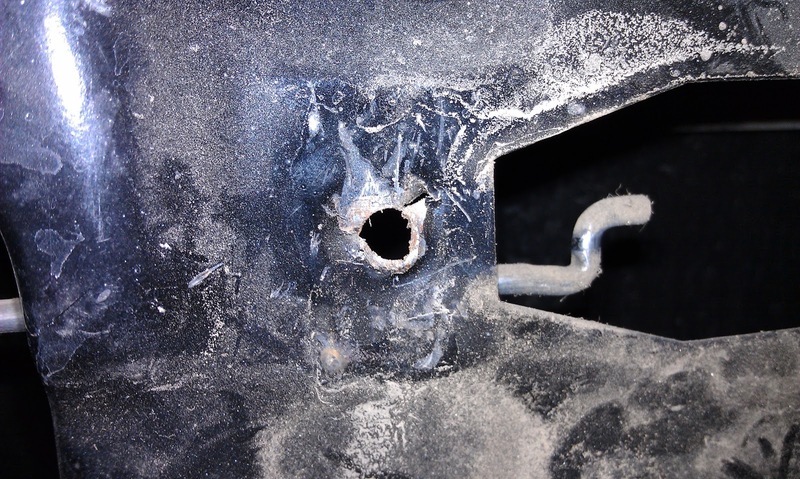 Here is a closeup of the hole the sheet metal screw was turned into. Whoever replaced or removed this door handle did not do a very clean job of reinstalling. It looks like they used a hacksaw to cut the hole. 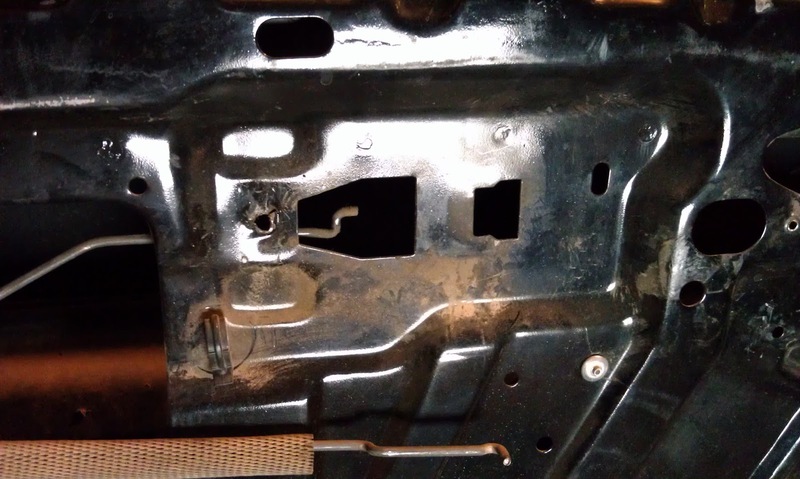 I also removed the connecting rod from the interior door handle to the door lock assembly. 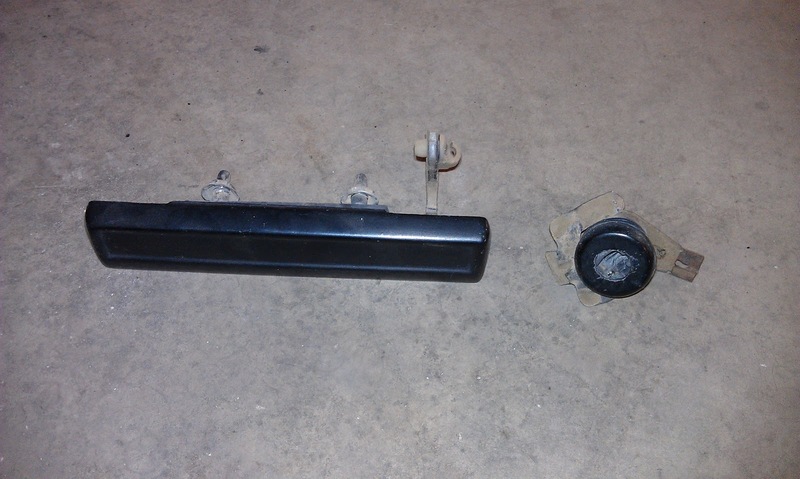 There is a plastic guide that I removed as well and left attached to the connecting rod. 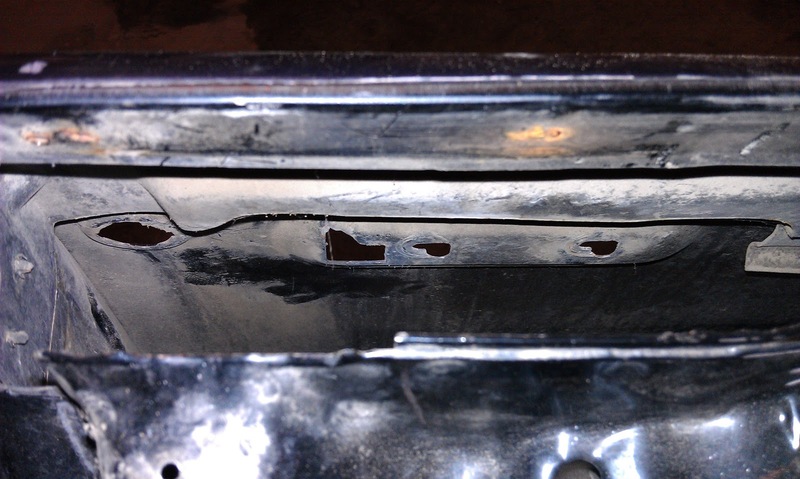 Here is the the door with the connecting rod removed. You can see the hole where the plastic guide was mounted in the center of the picture. 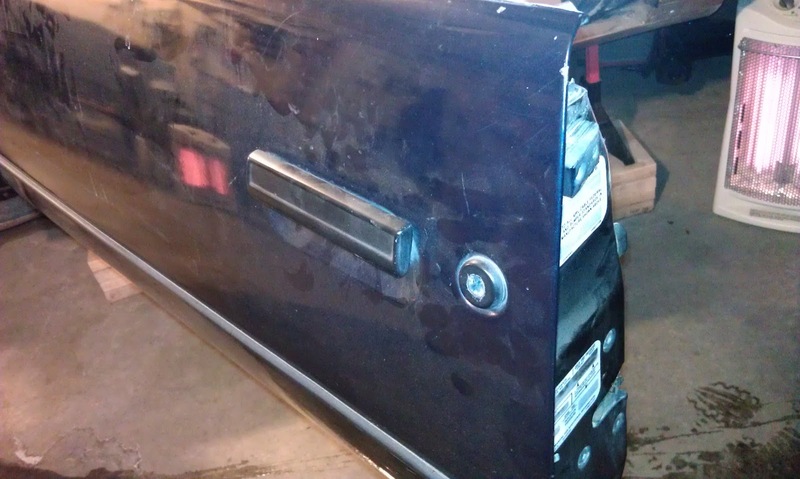 Tomorrow I hope to get a few more parts off the door after work.